Least trimmed squares (LTS) provides a parametric family of high breakdown estimators in regression with better asymptotic properties than least median of squares (LMS) estimators. We adapt the forward search algorithm of Atkinson (1994) to LTS and provide methods for determining the amount of data to be trimmed. 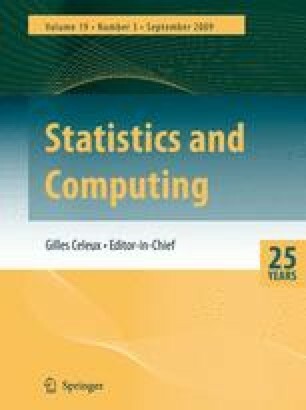 We examine the efficiency of different trimming proportions by simulation and demonstrate the increasing efficiency of parameter estimation as larger proportions of data are fitted using the LTS criterion. Some standard data examples are analysed. One shows that LTS provides more stable solutions than LMS.